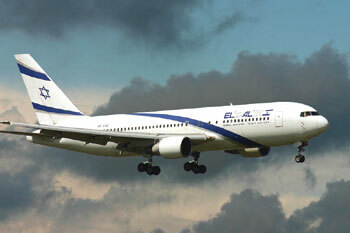 El Al Israel Airlines is the flag national airline carrier of Israel, a Middle Eastern country. Having established in 1948 by Knafaim Holdings Ltd, the airlines operates from its main hub in Ben Gurion International Airport with company headquarters in Lod, Israel. El Air Israel Airlines is the largest flight operator in Israel and operates regular scheduled international flight destinations to more than 45 cities in Africa, Asia, Europe, and North America. Sun D'Or is the subsidiary charter airline company of El Al Israel Airlines with primary base in Tel Aviv, Israel. The airline however does not fly domestic flights and only international. 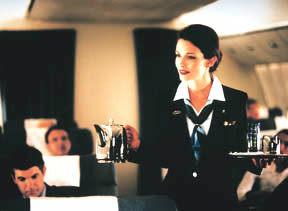 The frequent flyer program for El Al Israel Airlines is Matmid which was launched back in 2004. The program has several tiers such as Matmid, Matmid Silver, Matmid Gold, and Matmid Platinum. Matmid offers miles flown to be accumulated and entitle members to be rewarded with items such as bonus tickets, car rentals discount offers, flight upgrades and complimentary hotel accommodation for certain nights. King David Lounge is El Al's airport lounge catered specially for its premium class passengers. King David Lounges are located worldwide and can be found at Ben Gurion International Airport, Charles de Gaulle International Airport, John F. Kennedy International Airport, London Heathrow Airport, and Los Angeles International Airport.